While the season officially begins after the Vernal Equinox (the day in March when it’s exactly 12 hours of light and 12 hours of dark), a lot of people don’t consider it really Springtime until Opening Day of baseball season. Growing up in the Milwaukee suburbs in the 80s, going to Brewers Opening Day was even considered an excusable absence. While my interest in the National Pastime and burning desire to be a professional baseball player burned out along the Brewers’ dashed hopes of the 1982 World Series, I am thoroughly interested in learning more about its superstitions and ghost stories. 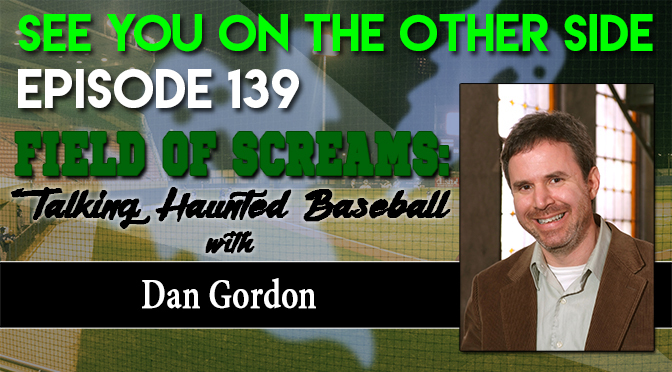 As the co-author of both Haunted Baseball and Field of Screams (along with his close friend and baseball aficionado, Mickey Bradley), Dan Gordon is the man to talk to when it comes to baseball and weirdness. 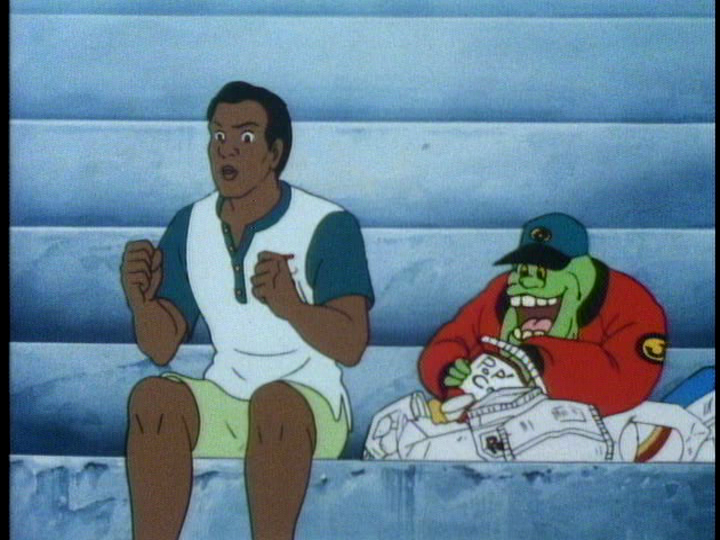 While most of my previous knowledge of haunted baseball came from the episode of Real Ghostbusters where Winston becomes part of the game between the forces of Good and Evil (“Night Game”, which is one of the series’ best episodes), the rich history of the sport and its spotlight in the national consciousness since at least the beginning of the Twentieth Century has filled its supernatural coffers with plenty of legends and ghost stories. How did the hat and jacket stay on Slimer when he’s made out of only ectoplasm? Whether it’s the Chicago Cubs’ famed “Curse of The Billy Goat” to the “Curse of the Bambino” that haunted the Red Sox, baseball is full of generations-spanning myths as to why some teams win and others lose . Dan tells Wendy and I a ton of new haunted baseball stories. Yankees Stadium in particular seems to be a place where the spirits of the old players give the home team an unfair advantage. 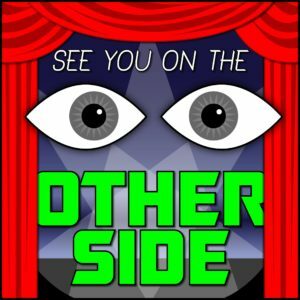 Dodgers Stadium has catacombs and of course we talk about the haunted Pfister Hotel in Milwaukee and how the ghosts there have it out for baseball players in particular! Dan fills us in on these stories and a lot more in the interview! You can grab Dan Gordon and Mickey Bradley’s books on haunted baseball right at their website, conveniently titled HauntedBaseball.com! Special thanks to Scott Markus of www.whatsyourghoststory.com for recommending and getting us in contact with Dan Gordon! Going off our athletic inspiration from Dan Gordon, this week’s Sunspot song is a special sports barnburner called “All In”! take my chips cuz I’m all in. This is our time, this is our day. And when you go, go all the way. Old Vince was right, winning is the only thing. Get out on the field and get ’em back.